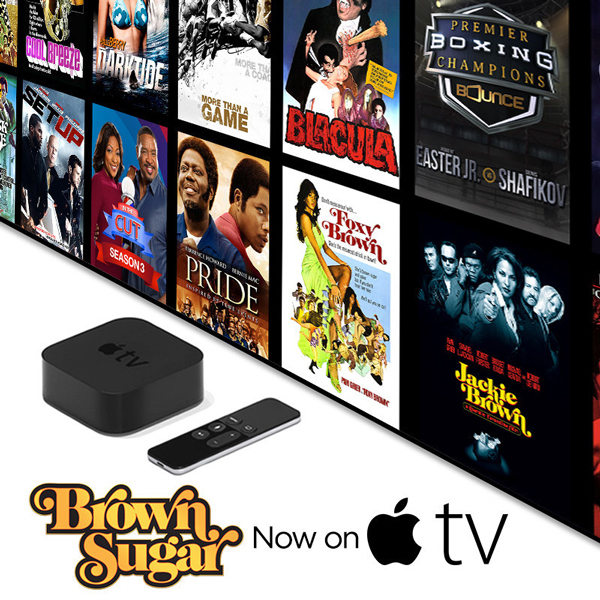 Brown Sugar, the new subscription-video-on-demand service featuring the biggest collection of the baddest African-American movies of all-time, is now available on Apple TV. Apple TV viewers can now watch Brown Sugar's extensive and one-of-a-kind library of iconic black movies, all un-edited and commercial-free as they were originally seen in theaters. 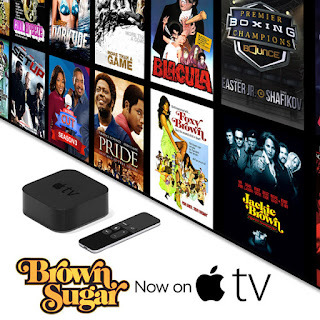 Apple TV (Fourth generation) customers who purchase a Brown Sugar subscription will receive a seven-day free trial and then pay $3.99 per month thereafter. Once subscribed to Brown Sugar through Apple, customers can also watch content online through iPads, iPhones or via BrownSugar.com with any Apple device. Existing Brown Sugarcustomers can also access their account and stream the entire Brown Sugar library through Apple TV. Apple TV seamlessly integrates with iTunes® to wirelessly play a user's favorite content from a PC or Mac® on their widescreen TV, including movies, TV shows, music, photos and podcasts. Brown Sugar features such great movies as Dolemite, Jackie Brown, Cotton Comes to Harlem, Foxy Brown, Cooley High, Blacula, Pride, A Soldier's Story, Black Caesar, Which Way Is Up?, Hammer, Richard Pryor: Live on the Sunset Strip, Car Wash and The Original Gangstas as well as acclaimed documentaries such as More Than a Game, chronicling the early days of LeBron James. Fans can also go to Brown Sugar to watch all the exciting action of Premier Boxing Champions on Bounce. Brown Sugar is available for mobile phones and tablets in the Amazon Appstore, Google Play Store and iTunes App Store and for computers at BrownSugar.com. Brown Sugar is also available on Amazon Fire TV, the Amazon Fire Stick and has Google Chromecast capabilities which allow video to play on televisions directly from mobile devices available for consumers with Android and iOS devices.